Anastasia was inspired by a vintage handbag of beautiful embroidered silk and velvet. Our version is smaller accommodating an available frame. Anastasia has ruched side panels, an inside pocket, and finishing techniques of an earlier time. 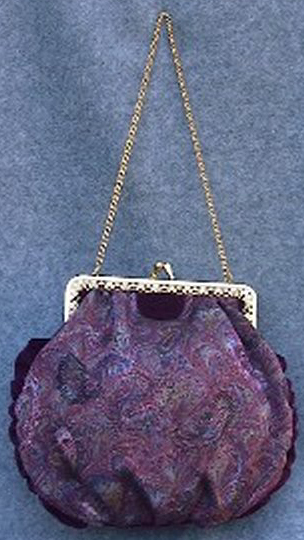 Lavish fabric would create a delightful evening bag. Options include handbag or shoulder styles.